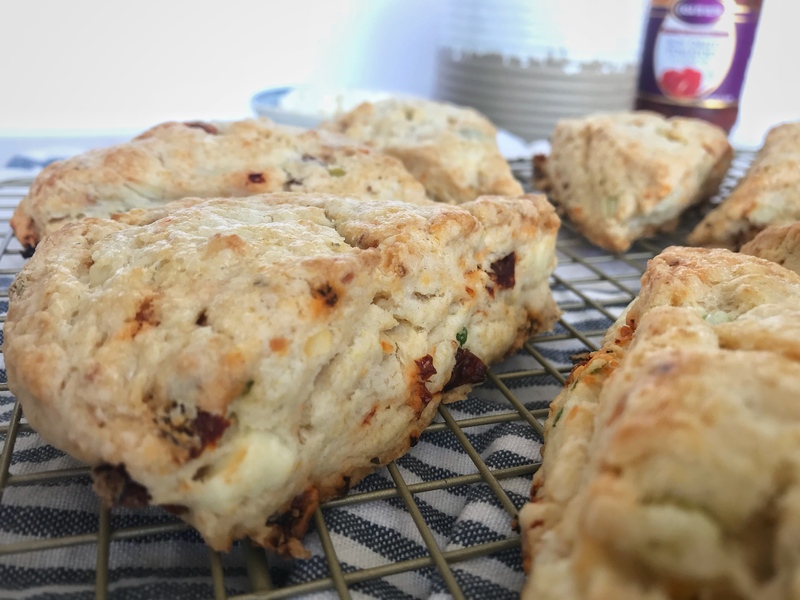 While sweet scones are usually my preference these savory scones are delicious! They have a rich buttery flavor, a nice crumbly texture without being dry. 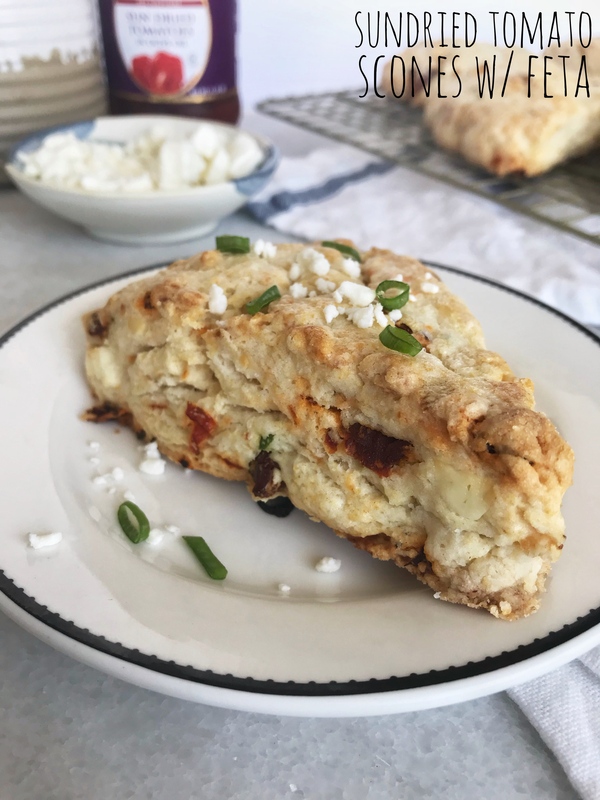 Sundried tomato, feta, and green onion put these scones over the top. They’re perfect for your next brunch and if I haven’t convinced you to make them yet, they’re super easy and quick to make! Preheat oven to 400 degrees Fahrenheit. Using a food processor (or pastry cutter or two knives) cut butter into flour until in remembers a coarse, shaggy meal. Stir in sugar, baking powder, garlic powder, salt, feta, green onion, and sundried tomato. In a separate bowl combine eggs and cream extract until smooth. Pour liquid mixture into dry mixture and stir until just combined. Tip dough onto a lightly floured work surface. Using your hands press dough together and shape dough into a circle about ¾” thick. Using a sharp knife divide the dough into 8 even triangles. Place dough on a lined or greased baking sheet with about 1” in between each piece. Bake for 20-25 minutes. Cool before eating. If your sundried tomatoes are packed in oil, blot them with paper towels to remove as much of the oil as possible. You don’t want to add to much extra oil to the recipe.